We moved here from Orange County, California more than 11 years ago. It is awesome here and the beauty of California is everywhere we look. 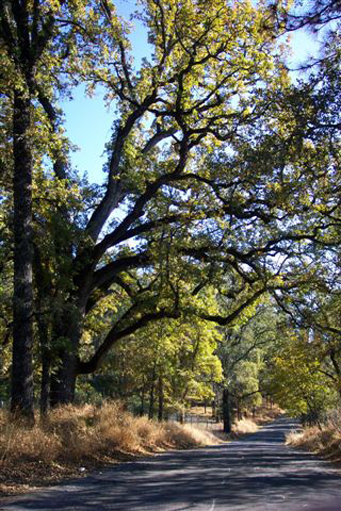 Our ranch is located in the Sierra Foothills just about 1 hour East of Sacramento. Sequoia Oaks is located in Fiddletown, a small town surrounded by the beautiful wineries of El Dorado and Amador counties. Our ranch is full of pines and oaks and rolling hills. We are surrounded by 5 acres of fenced and cross fenced pastures. Our ranch is frequently visited by mule deer, raccoons, possums, red tailed hawks and the always lovely ... "Turkey Vulture"! We have been raising/training/showing and breeding dogs for over 20 yrs. I have professionally trained dogs privately and for a large pet store chain. I have majored in agriculture in high school and college and an active member training and showing livestock in The Future Farmers of America. I also have a lifetime background in training/showing horses. All this experience and knowledge helps us to do the very best for all our dogs and livestock !